One of the most distinct aspects of the market for small businesses is that it is a secret one. The worst thing that a business owner can do is publicize the fact that their business is for sale. 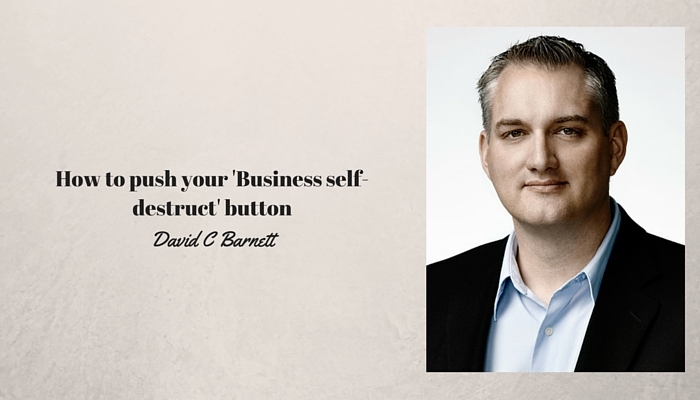 Telling people that you want to sell your business is like pushing the ‘business self-destruct’ button. I also explain what business for sale really means to 95% of the population. Employees: If they think change is coming, they may bail. The best employees always have available opportunities with competitors. Customers: If you deliver in the future or people rely on a warranty, they won`t have any faith in your future if they find out you’re for sale. Suppliers: If these guys think there`s something wrong say `goodbye` to your trade credit. Lenders: I’ve had more than one client have their credit line cut when their banker found out they were for sale. I explain why in the video. Competitors: These guys will use anything they can to steal business. News that a business is for sale will help them sew doubt in the minds of prospects. There are plenty of FREE resources there to help you begin planning your transition out of your business.